One weekend is all you need to create this quick-knit creation! 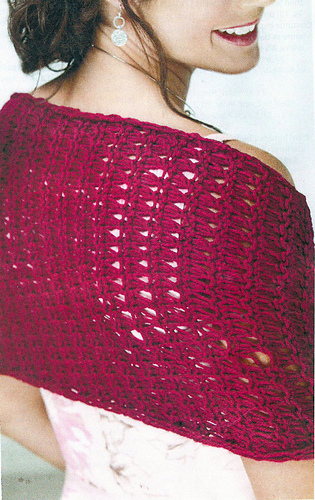 Knitting a pretty shawl doesn’t have to take forever when you use worsted weight yarn with a nice drape and an easy lace pattern stitch. 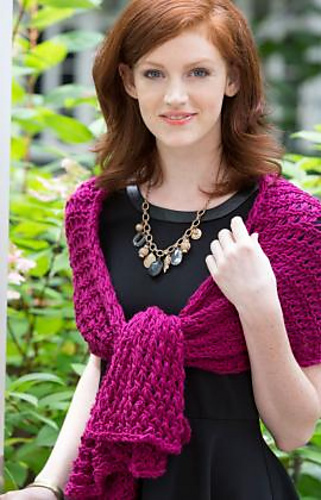 This shawl is perfect for any season in any color you fancy! 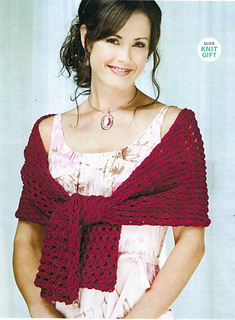 Simple rectangular construction using big needles and easy dropped stitch pattern knit up to a lovely openwork shawl.